What black educators do you follow? Please let us know! If you are interested in project-based learning, High Tech High is the Mecca; and if you’re interested in project-based learning that accounts for equity, justice, inclusion, and pluralism, then you need to follow Kaleb Rashad on Twitter. And if you ever have the opportunity to meet Kaleb in person, take it. He is pure positive energy, intellectual curiosity and creativity, and deep purpose. As you might suspect, there is a big difference between culture 1 + 2 (“consumer” mindsets) and cultures 3 + 4 (“creator” mindsets). In a rapidly changing environment in which everyone needs to spot problems and solve them as part of a team, educating for compliance and cooperation is a kiss of death. 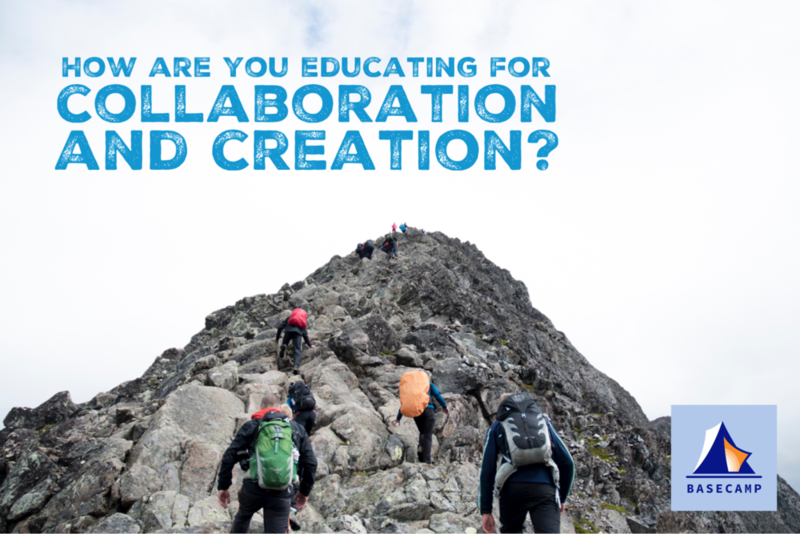 What are you doing to educate for collaboration and creation? Promote collaborative learning in small groups that consist of individuals sharing a passion and whose strengths complement (rather than replicate) each other. Ask learners to address unseen problems and opportunities in ways that can create much more value. How do you solve a problem you've never seen before? What if... scouts > soldiers?